Gloria Jean Williams, 77, passed away peacefully on Monday, December 3, 2018 at Kavanagh House from complications of Dementia disease. She was born September 17, 1941 in Moberly, Missouri to Loverture and Minnie (Smith) Childs. Gloria retired after 42 years of employment with Younkers. 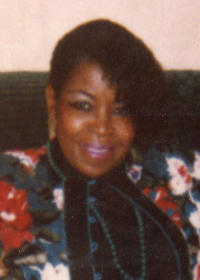 Gloria is survived by her daughter, Lisa M. Williams; son, Frederick V. Jones; granddaughter, Taylor D’J Williams; brother, Franklin Owens, Jr., of Des Moines; and a host of nieces, nephews and extended family and friends. She is preceded in death by her parents; son, Tommy Williams Jr.; and brother, William H. Childs and Frederick V. Owens. Visitation will be held from 5:00 to 7:00 p.m. Thursday, December 13, at Hamilton’s Funeral Home, 605 Lyon Street, Des Moines. Funeral service will begin at 11:00 a.m. Friday, December 14, also at Hamilton’s, and will conclude with burial at Glendale Cemetery.